Drink Sake and eat sushi. This is where the idea of Sake and food pairing ends for most people. In this country this ironclad pairing has as much to do with distribution channels as it does with complimentary flavors. Meanwhile for others sushi-Sake pairings are verboten, because they claim that sushi and Sake aren’t eaten together in Japan; this is an overstatement. Sake is only 8% of the Japanese alcohol market, so it is less prominent on sushi menus than one would expect, leading to the mistaken conclusion. Where Sake has a much stronger showing on Japanese menus is at izakaya. Roughly translated as a “pub”, these places cook a dizzying array of dishes with one thought: perfect pairings with alcohol, particularly Sake. Izakaya vary in type and style (some even serving non-Japanese dishes) but for me, the best place to drink Sake is, without a doubt, a Yakitori-Ya. The term Yakitori sometimes gets misused here on restaurant menus. Yakitori is comprised of two characters, Yaki (焼き) meaning to grill and Tori (鳥) meaning chicken. Simple in concept but difficult to master, this style of cooking is all the parts of the chicken, deftly prepared, and grilled on skewers over hardwood charcoal. 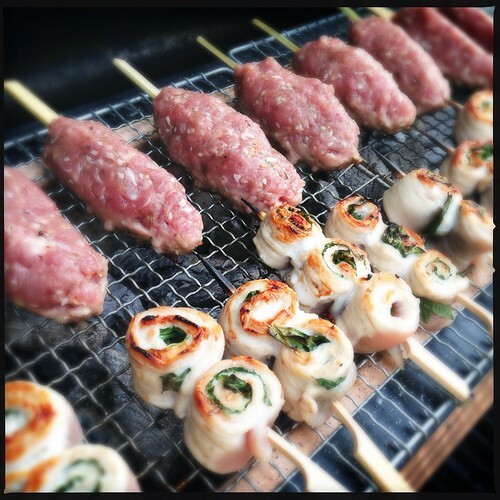 Other meats like beef and pork are called Kushiyaki (串焼き) meaning “grilled skewers”. 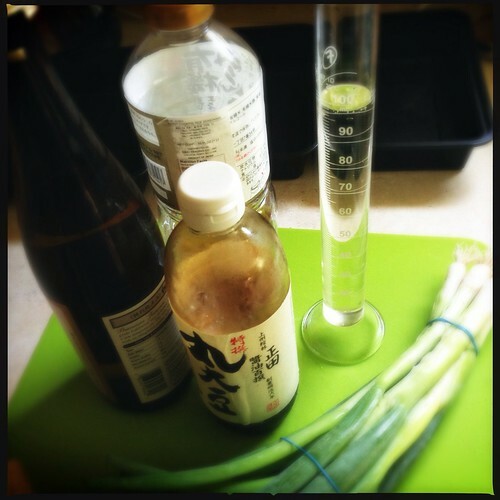 Making Yakitori at home creates opportunities to enjoy Sake in a traditional pairing without the need to make sushi. From a flavor perspective, grilled and roasted meats are wonderful with Sake. The rich, fatty, and umami-laden meat is both supported and cut by a good Sake. 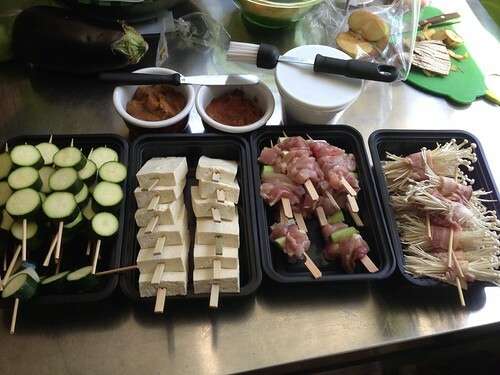 To make Yakitori in its simplest from, you need only a charcoal grill and some skewers; almost anyone can do it. There is a wide array of Yakitori tutorials online from the well-researched Japanese Food Report to the hilarious Cooking With Dog videos. As you can see in the first video, you do not need any special equipment. 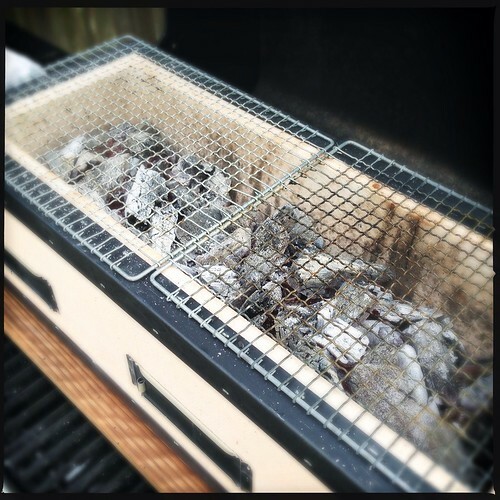 Good Yakitori can be made with a charcoal grill and some foil wrapped bricks or pavers. Yakitori, once cooked, is usually served with salt or tare; a sweet soy based sauce that is unique to each shop. Here are 3 different recipes for traditional tare. For those of you who want to cook Yakitori and geek out on equipment: you need to buy a Konro. A Konro is a trough shaped grill made from refractory brick. The highly insulative material and sloping sides help keep the temperature high and direct all of the heat upwards to the food. The functional design lets you grill at extremely high heat, yet the sides of the grill are cool to the touch. The trough is not very high (just 7”) ensuring that the food cooks very close to the charcoal, which is a hallmark of this style of cooking. Japanese Yakitori restaurant predominately use a special hardwood charcoal called binchotan. Binchotan is made from white oak and is difficult to light but once it gets going it will burn very hot for a long time. Some binchotan will actually burn so hot that it will heat into the infrared! Binchotan is very expensive but lately I have had great results with American oak charcoal and it makes fine Yakitori at a fraction of the price. A good Yakitori restaurant will focus on chicken, but vegetables, rice balls, pork belly, and other goodies can be on the menu as well. 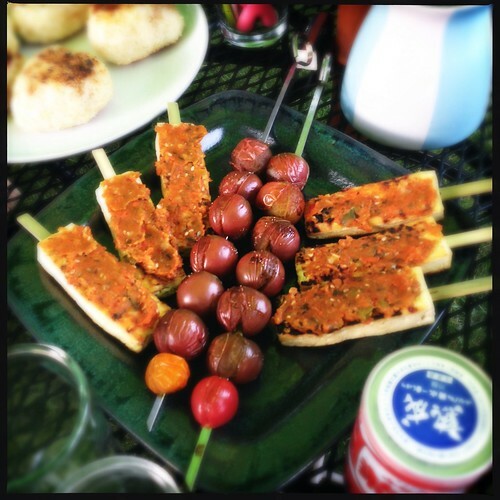 Don’t let the types of foods you can grill or make limit the occasions when you drink Sake. A simple grilled steak and a bottle of Sake are a great pairing. In fact, the gentle acid structure (succinic and lactic) help Sake pair well with a lot of foods, including cheese, pizza, burgers, Mexican food, and even BBQ. So with these crisp autumn nights, break out the grill and kiss some food with fire to make a perfect pairing for a bottle of Sake! Yakitori at Home – photo set from BostonSake.com! 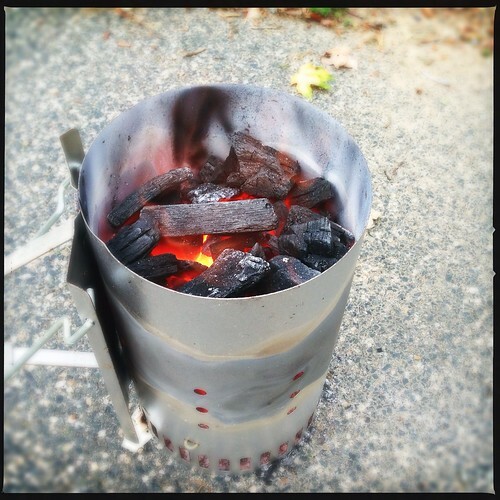 Naked Whiz’s Lump Charcoal Database – a huge online database of lump charcoal brands with detailed analysis. Has to be seen to be believed!